Want to Stop Smoking and Stop Vaping? You may have already tried to quit smoking using willpower, patches, medication, e-cigarettes or vaporisers – but haven’t yet succeeded. More and more people are finding the benefits of our integrative approach of psychotherapy, hypnotherapy and NLP. Stopping smoking doesn’t need to be a battle of willpower. It is possible to stop smoking so you don’t feel that you’re giving anything up. The one thing we do require (in addition to our fee) is your genuine desire to quit. The Rodney St Therapies Stop Smoking programme consists of one one-hour individual session. The cost for the programme is only £150. This equates to less than 15 packets of cigarettes. You can do the maths as to how long it will be before this proves to be the most profitable programme you will ever attend. Not to mention the other benefits. The Quit smoking programme will be completely tailored for your own individual needs. What have you got to lose except your smoking habit? If you find that you are still struggling with your smoking demons after completing the programme, please feel free to contact us for the additional support we can provide. For those who are not initially successful, a follow up session is offered at no extra cost, within three months of your final session. 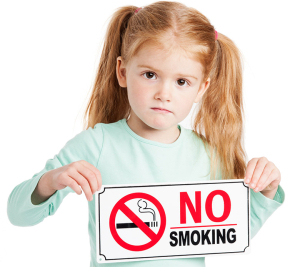 Enjoy this digital version of our popular stop smoking programme in the comfort of your own home. Stop smoking with Dennis Richards is available as a downloadable mp3 file for the amazing price of £20. Play it at leisure on your tablet, computer or smartphone.